Celebrate the Festive Season on this party cruise to Antwerp. Sample the delights of life aboard Magellan enjoying the various facilities, delicious full board cuisine and stylish evening entertainment. 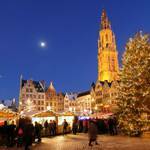 In Antwerp, visit the magnificent Gothic cathedral and browse the delightful Christmas Market for some unique gifts - don’t forget the delicious Belgian chocolates! Embark CMV Magellan at London Tilbury Port ready for this Christmas Market break. One of Europe’s largest ports, Antwerp is renowned throughout the world as the centre of the diamond trade. With its charming medieval streets and remarkable renaissance buildings, Belgium’s second largest city is a delight. Historic guild houses and Antwerp’s imposing Town Hall with its rows of colourful European flags surround the cobbled stone main square of the old city called Grote Markt. The focal point of the city skyline is the towering Gothic spire of the Cathedral of Our Lady. Early morning arrival back into London Tilbury. Disembark the ship after breakfast. Providing a quintessentially British cruise experience to all its passengers, the Magellan ship is among the most well-known of Cruise & Maritime Voyages’ fleet. Magellan boasts a spacious interior, with wide corridors and expansive wooden deck areas providing comfortable surroundings for guests. However, the ship still provides an intimate atmosphere, with a huge range of leisure facilities, including bars and lounges, as well as multiple dining options. The 46,052grt Bahamian flagged Magellan with her gleaming profile, beautiful wood type decks and distinctive CMV livery is an impressive ship. She can accommodate about 1250 guests within a warm and friendly atmosphere that reflects a truly British cruise experience. Magellan is fully stabilised and air conditioned and has nine passenger decks serviced by eight lifts. Enjoy the on board facilities like the pool, whirlpools, spa and fitness centre, and activities, deck games and lectures. However, you may prefer to just relax, read, or do absolutely nothing at all. 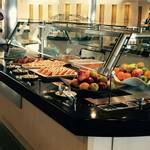 Breakfast, lunch, and dinner are all included together with afternoon teas and late night snacks. And at night, enjoy a production show, relax to music in one of the lounges or dance the night away. A cruising holiday is simply like no other, combining the fascination of lazy days at sea, great food and entertainment, making new friendships, ever-changing vistas and visiting new places. It gives a unique sense of exploration and discovery experienced in the civilised comforts of today. Where else can you find a holiday where you will visit lots of different places and your hotel moves with you. No packing, no hassle, no worries. Discover the beautiful city of Antwerp, with medieval streets and ancient palaces. Antwerp is the perfect destination for a Christmas break and the Antwerp Christmas market is beautifully decorated with glittering lights amid historic architecture. 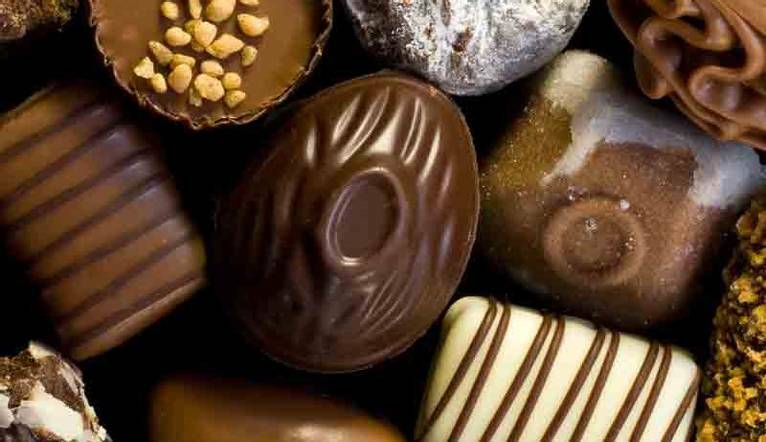 Shop in the fine stores and boutiques, or discover delightful seasonal gifts in the Christmas Market including some delicious Belgium chocolates. We will fall in love with the lovingly decorated wooden stalls that sell all sorts of traditional goodies and range of food and drink that will keep you feeling festive. These air conditioned cabins all offer private en-suite facilities with shower plus ample wardrobe and storage space. Ocean View cabins have a picture window and all cabins are equipped with a flat-screen television, hairdryer, and personal safe. Magellan offers a traditional maritime experience in spacious surroundings. Discover a wide range of comfortable lounges and stylish leisure facilities to enrich your time on board. Her wide range of public facilities include the impressive Waldorf and Kensington Restaurants offering two sitting dining or the more informal Raffles Bistro. There are comfortable lounge areas throughout including the two-tier theatre style Magellan Show Lounge, and a wide range of other amenities. Out on deck, there are two swimming pools, three whirlpools and expansive deck areas. The maitre’d and his attentive waiting staff will welcome you to the elegant Waldorf or Kensington Restaurants where you can opt for a full English breakfast, savour a leisurely five-course lunch and enjoy a delightful dinner every day of your cruise. Whilst breakfasts and lunches are generally served in the restaurant on an open seating basis, two fixed time sittings are operated for dinner in the evening. As a casual alternative, the light and airy Raffles Bistro is open every day for buffet style breakfast, lunches and dinner. Here informality is the key and you can feel free to drop in without any ceremony. The Pool Deck lends itself particularly well to al fresco meals so a buffet breakfast or lunch from the Bistro can be served up with a complimentary ocean view! The beautifully appointed Wellness Centre is nature’s secret of well being on Magellan. It offers hairdressing & beauty treatments spanning across its state of the art treatment rooms, relaxation area, sauna and extensive menu of massage treatments. How about a few hands of cards in the Card Room? Or immerse yourself in a good book from the well-stocked Livingstone Library. For the more energetic, keep in shape with a out at the gym. Then, browse through the shopping galleria and photo gallery for a few memories to take home of your time on board Magellan. There are two outdoor swimming pools plus three whirlpools together with expansive deck areas for that daily exercise, relaxation and viewing or a romantic stroll before you decide to call it a night. Why not settle down and enjoy wonderful panoramic ocean views from the comfortable lounge areas along the mall on the Magellan Deck, or relax in a secluded corner of the delightful Hamptons Lounge Bar where the head barman will soon get to know your favourite drink. At the very heart of Magellan is the stylish Captain’s Club, a popular place to meet fellow passengers. To start your evening you might opt for a pre-dinner drink here and enjoy a few of your favourite melodies. After dinner the show team would enjoy the pleasure of your company in the two-tier, Magellan theatre-style Show Lounge as thr talented show team display their talents in a glittering ‘big-show’. Enjoy more evening entertainment in Sinatra’s, the Captain’s Club and Hampton’s or enjoy a drink in the Taverner’s Pub. These will be available to view on Cruise & Maritime’s website 8 weeks prior to departure and are subject to availability. With Ex-UK Cruise Only bookings there are no luggage restrictions. We do ask that each bag does not exceed 23kg for health and safety reasons for our porters. As there are no separate Baggage Room facilities aboard our ships, it should be noted that all baggage must be stored within the cabin. Under bed storage is available in most cabins for suitcases not exceeding 23cms depth. A passport is essential for all cruises, including mini cruises and sailings around the British Isles and Republic of Ireland and all British Citizens, must hold a full ten-year passport. Many countries, including most of those visited during the winter cruise programme and on the Astor cruise schedule, require visitors to hold passports that have at least six months validity beyond the return date of the cruise. It is the responsibility of holders of non-British passports to check with the relevant consular authorities of the countries to be visited to ascertain if there are any specific restrictions or requirements for their planned itinerary. Any passenger arriving at the departure port without a passport, or with the incorrect documentation, will not be allowed to embark. Such circumstances are not covered by insurance and no refund claims will be entertained. During the day, attitudes are very relaxed and informality is the key. Casual clothing is quite sufficient during the days at sea and for time spent ashore. On certain shore excursions and at some religious sites, discretion should be used so as not to cause inadvertent offence with inappropriate clothing. Advice will be given on board in such cases. Every day, the Daily Programme suggests, as a guide, a mode of dress for that particular evening’s events. Generally, there are two ‘formal’ or gala nights planned on each cruise when many gentlemen wear a dinner jacket, although a lounge suit is quite acceptable. The ladies on these occasions have a chance to dress up and often opt for evening or cocktail dresses. On evenings proposed as ‘informal’, a suit or smart jacket and trousers, with or without a tie, for the men is suggested and the ladies have further opportunities to look elegant in a cocktail dress or trouser suits and stylish co-ordinates. A ‘casual’ recommendation often covers evenings spent in port or when a special event such as a deck party is scheduled. In these cases, the choice of dress is left entirely to you. All cabins feature 110v and 220v current and have an electrical socket to allow small appliances such as electric shavers, electric rollers and hair-stylers to be used. Each cabin is equipped with a hairdryer. It is advisable to bring a UK three pin to European round two-pin universal adapter (all cabins on Columbus have UK 3 pin sockets) in order to access electrical supply in the cabins. For safety reasons, irons and water heating devices are not permitted to be used on board. Astor and Columbus both have an ironing room facility for those passengers who wish to iron their own garments. The services of our qualified medical staff are available to you on board in the event of ‘mal de mer’ or an emergency. It should be noted that the NHS does not cover treatment on the ship and there is a scale of charges for surgery visits and medical treatment. Such charges, which are usually claimable under your travel insurance policy, less any excess amounts, must be paid in full prior to your final disembarkation. Seasickness tablets are available from Reception at a nominal charge. 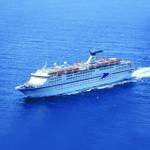 All prices on board Columbus, Magellan, Marco Polo are quoted in Sterling. A cashless system is in operation for all of your onboard purchases. An account is opened for you at the start of your cruise and you sign a debit when purchasing goods and services on board. This is charged to your shipboard account and a final invoice is presented at the end of the cruise itemising all charges. This can be settled by Travellers’ Cheques, which incur a 3% transaction fee, or by MasterCard or Visa credit cards, or by Visa debit cards, and of course, cash. It is not possible to use personal cheques to settle onboard accounts. The Reception staff also offer a facility to purchase small amounts of certain foreign currencies for use in some of the ports of call. Please note that in payment of your onboard account an extra charge may be levied by your issuing bank for using your credit/debit card. Please note that we do now accept Pre-Paid Credit Cards (showing the VISA or Mastercard symbol) on our vessels. The onboard shops are open daily when each ship is at sea, but local customs regulations do not permit the sale of duty-free goods whilst a ship is in port. It should be noted that liquor and tobacco products purchased will only be delivered to your cabin on the last day of the cruise. Drink and tobacco may, of course, be purchased throughout the cruise from the ships’ bars at the listed shipboard prices. The embarkation procedures at UK ports normally commence four hours prior to the published sailing time. At final disembarkation, you should allow approximately 90 minutes from the scheduled arrival time before disembarkation will commence. The full embarkation and disembarkation procedures and timings will be confirmed when tickets and cruise documentation are dispatched, usually 14 days prior to sail date.